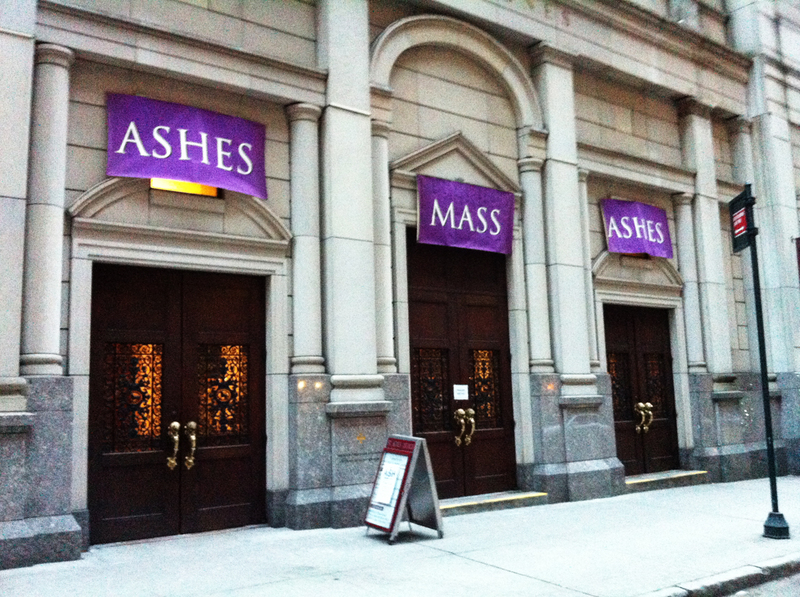 In Churches all over the city on Wednesday, the beginning of Lent was marked by signs and symbols of public devotion. As a child this was always a time of conflicting angst and anticipation, as the bleak significance of 40 days and 40 nights in the wilderness was offset by the reward of Easter Sunday with all it’s bounty. This year, St Paul’s Chapel is providing a thoughtful Lenten activity for those who have travelled to NYC and are interested to journey a little further. The chapel has replicated a labyrinth embedded in the stone entrance of an old cathedral in Chartres, France, laying out the same puzzle with perhaps the same invitation. With the pews removed, the chapel is like a grand reception hall, open to people from around the world – many who are visiting NYC for the first time. On each Sunday during lent, everyone is invited to walk the labyrinth and to reflect on the pilgrimage of their life. 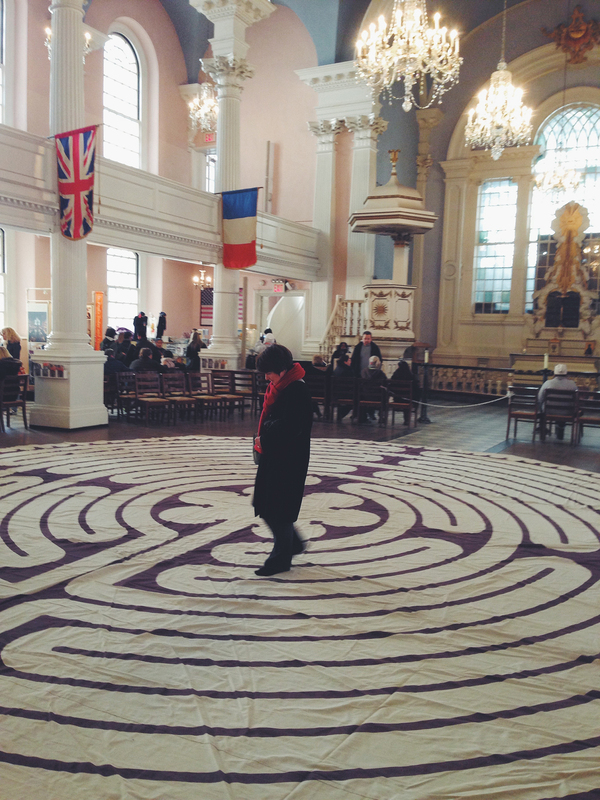 This entry was posted in art & inspiration, Uncategorized and tagged Lent, Lenten Labyrinth, NYC. Bookmark the permalink. Thanks Fitzy. 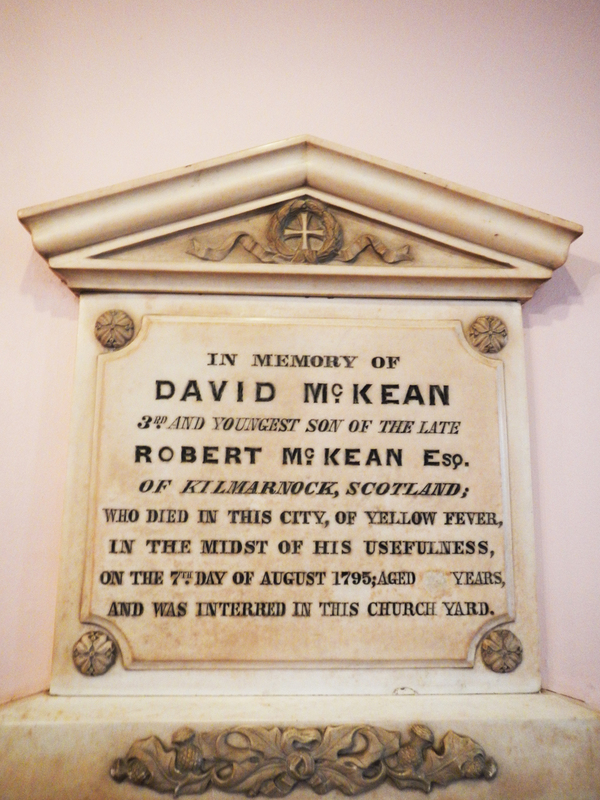 The Chapel is a beautiful place, and now it’s partly the site of a Memorial it is very moving. I really liked seeing George Washington’s Pew and the story of how it was used by podiatrists to help the rescue workers after 9/11. There is a (permanent)labyrinth like this outside the Children’s Hospital in Westmead, Sydney. It is an exact size replica of the one in Chartres (c.13th Century). It serves as a therapeutic aid – mindfulness, relaxation etc.